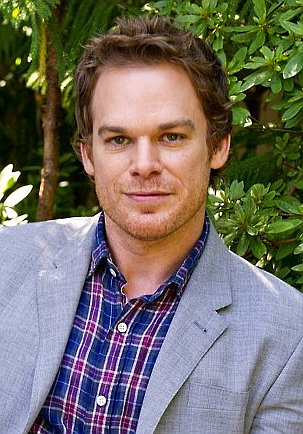 'Dexter' star Michael C. Hall is one of the actors included on YouTube's Lifetime-Like channel, named 'Wigs'. For the first time, YouTube is about to launch an entertainment network with real programming and real stars. The WIGS channel is being debuted today by Hollywood filmmakers on Avnet and Rodrigo Garcia at Google’s Brandcast event today in New York. WIGS is described as “a digital channel featuting original series and short films exploring female characters. The name actors already involved include Virginia Madsen, Stephen Moyer, Caitlin Gerard, Jennifer Garner, Alfred Molina, Julia Stiles, Sarah Paulson, and Jeanne Tripplehorn appear in the first three series. Directors include Betty Thomas, Paul Brickman, Lesli Linka Glatter, Walter Salles, and Amy Lippman.” Basically, it’s Lifetime, on your computer. So this part of YouTube’s big new rollout of channels with plenty more to come. The question is, Will people watch their computer screens instead of their big screen TVs. They’re already doing it with NetFlix. But the success of original programming on the internet would be like an earthquake for network TV. Read the rest of the article here.